ADVANCE REGISTRATION REQUIRED FOR ALL ATTENDEES! THE DEADLINE TO REGISTER IS THURSDAY, NOVEMBER 8. 2018 @ MIDNIGHT, UNLESS EVENT BECOMES FULL. Vegan Society of P.E.A.C.E. Annual Vegan "Thanks-living"
Houston Mini Pig Rescue Inc. is a 501(c)3 nonprofit animal rescue organization located in Houston, Texas that strives to educate the public about pigs and their needs, we work towards changing laws and city ordinances so that no person has to get rid of their beloved pet pig. 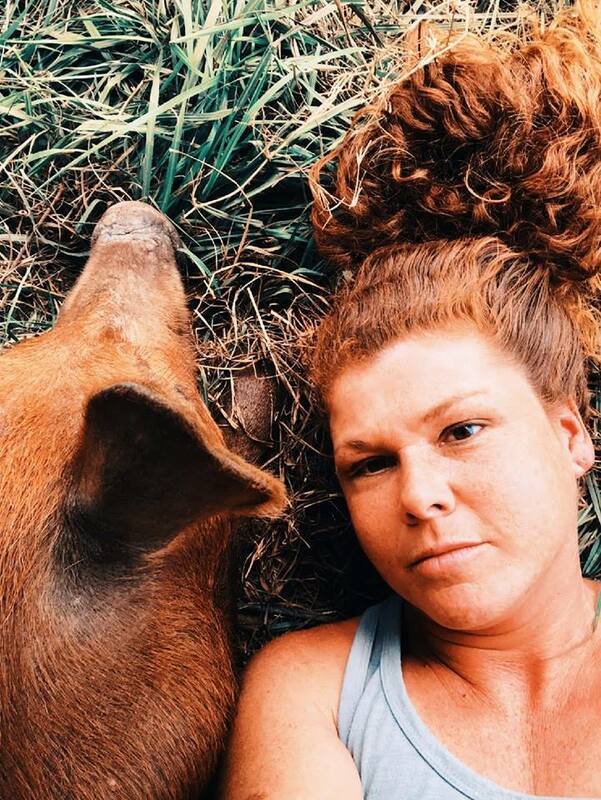 They advocate for pigs of all sizes welfare and enhance the human-pig bond. HMPR focuses on rescuing and rehabilitating pigs, we show abandoned neglected and abused pigs what love really is. We believe that every rescue animal deserves a chance at finding their forever home and endlessly search for the perfect homes for the pigs in their care. We greatly appreciate our 2018 Event Sponsors and Donors! It has been a Vegan Society of P.E.A.C.E. 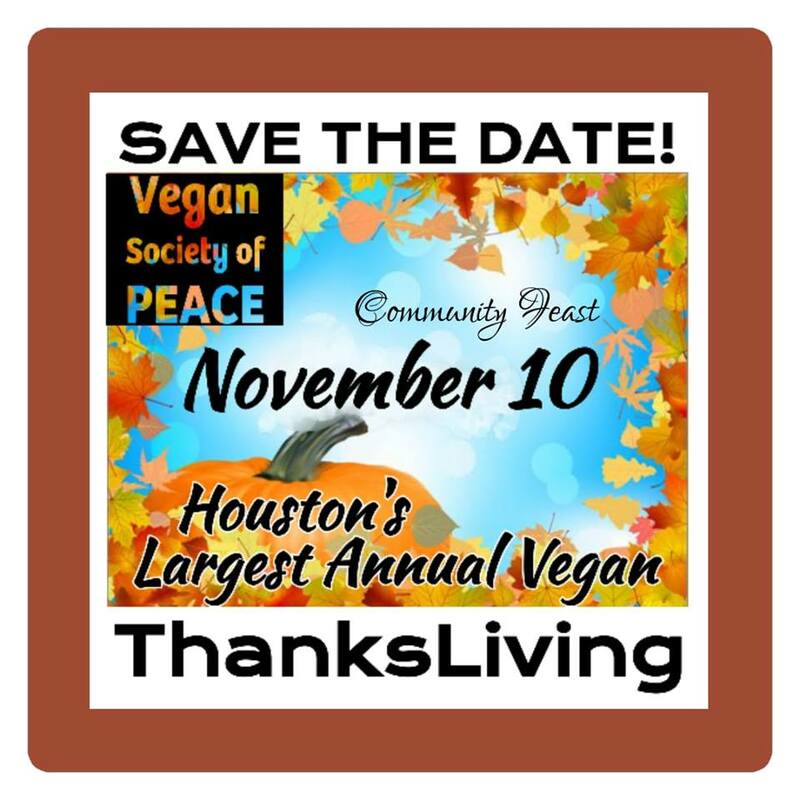 tradition to host Houston's Largest Annual Vegan "Thanks-Living" for several years now. This family-style event is popular and well-attended by all ages and backgrounds, including those who are vegan-curious. We have hosted a wide range of Annual Vegan "Thanks-Living" events over the past decade, including restaurant dinners and catered events at large reception halls. This annual celebration started years ago when we rented an entire restaurant, but quickly outrgrew the space needed. The event has become so large that we now host gigantic vegan potluck dinners on college campuses. In addition to advance registration, ALL attendees must bring a vegan entree to share at the Potluck (a serving size to feed 8-10 people). This is required in order to attend our event and eat from the community potluck. Both vegan and raw vegan dishes are always welcome at our potlucks. Food must be labeled with ingredients using our recipe cards. All food must be 100% vegan! Don't forget to help support our fundraising efforts on Saturday by purchasing raffle tickets, newly designed logo shirts, mugs, car magnets, new vegan books and more! Plenty of free vegan starter guides will also be available! And, for all your holiday vegan catering needs, please support the many wonderful local vegan caterers in the Houston area! You can even pre-order vegan cuisine to bring to the potluck! Visit each of their websites to see the full list of catering menus being offered for all the seasonal holidays this year. PLEASE NOTE: Advance REGISTRATION is Required! Attendees MUST bring a VEGAN entree to share (serving size to feed 10 people)! Seating is limited! Reserve your seats early! All attendees must sign in at the Security Desk. See location info and Google Map! *Mention you heard about this on the Vegan Society of P.E.A.C.E. Community Events Calendar!